Denmark and Australia will collide in their second group match of the 2018 FIFA World Cup at the Samara Stadium on Thursday. The third Group C encounter of the 2018 FIFA World Cup in Russia will see Denmark go head to head against Australia on Thursday. The Danes began their journey in Russia with a streaky 1-0 win over Peru in their opening encounter this past weekend. They currently sit second in the Group C standings, level on points with leaders France. Age Hareide’s side will be buoyant going into the game, having not tasted defeat in sixteen games in a row, but will also have causes for concern after their scratchy display against the Peruvians. Australia, on the other hand, were handed an unfortunate 2-1 defeat by European giants France in their opening fixture in Kazan last weekend. Having been on the receiving end of some dodgy VAR decisions in their first game, the Socceroos, led by manager Bert van Marwijk, will be hoping to bounce back from the defeat with a spirited performance against the Danes, if they are to keep their hopes of qualifying to the next stage alive. The onus will be on the Aussies to come out all guns blazing at Samara following their defeat on Saturday. 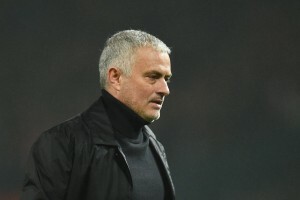 Van Marwijk is unlikely to tinker with the 4-4-1-1 setup that he used for the tournament opener and there are unlikely to be many personnel changes either. That would mean goalkeeper Mat Ryan will retain his spot between the sticks after an impressive display against the French last week. Josh Risdon and Aziz Behich will continue as the full-backs on the right and left-sides respectively, while Trent Sainsbury and Mark Milligan are likely to resume their central defensive partnership. In the middle of the park, captain Mile Jedinak will continue to shield the defence. He will have the unenviable task of keeping Denmark’s main man Christian Eriksen under the wraps on Thursday. Partnering him will be Huddersfield Town midfielder Aaron Mooy, who has the quality to make a difference to the side going forward. Matthew Leckie is set to be retained on the right side of the midfield, with Robbie Kruse also likely to keep his place on the opposite flank. Both will be encouraged to press higher up the pitch more regularly than they did against France, as the Aussies will be out chasing a victory. Celtic star Tom Rogic should get the nod in the hole behind the striker, but he will need to improve on his last display big time. Upfront, there could be a possibility that van Marwijk could call on the pacey Jamie Maclaren in place of Andrew Nabbout, who could be a huge asset on the counter against a solid Danish defence. Hareide is unlikely to change from the 4-2-3-1 setup that has brought this team so much success over the past year, while any major changes from the side that edged past Peru last weekend are also unlikely. However, midfielder William Kvist will not feature for Denmark, after being stretchered off injured during that game. Goalkeeper Kasper Schmeichel has now kept five clean sheets in a row for Denmark and will be hoping to continue his impressive form against Australia at Samara. Captain Simon Kjaer will hold fort in the heart of the defence and is likely to be partnered by Andreas Christensen, who hobbled off with a knock against Peru, but is expected to be fit for Thursday’s encounter. Henrik Dalsgaard and Jens Stryger Larsen should continue as the full-backs. With Kvist ruled out, Lasse Schone is likely to be deployed as the defensive midfielder in the side alongside Thomas Delaney, who had a fairly impressive showing against Peru last Saturday. Denmark’s goalscorer from the last game, Yussuf Poulsen will resume duties on the right-flank and look to cause problems with his pace, while Celta Vigo’s Pione Sisto is expected to be retained out on the left side. The creative burden, once again, will lie entirely on the shoulders of playmaker Christian Eriksen, who has been their standout player in recent games. Nicolai Jorgensen is expected to continue spearheading the attack for the Danes, which would mean the young and talented Kasper Dolberg will miss out once again. The two teams have played each other just three times before, with Denmark winning twice in 2007 and 2012 and Australia claiming a solitary victory back in 2010. Denmark’s win against Peru in their first match stretched their unbeaten run to 16 official matches. Denmark haven’t conceded a single goal in their last five fixtures, including their 2018 FIFA World Cup opener against Peru. The other teams that failed to score against the Danes were Mexico, Sweden, Chile and Panama. Australia captain Mile Jedinak scored his 17th international goal, when he netted from the penalty spot against France. He is now the ninth-highest goalscorer for the Socceroos, with the 38-year old Tim Cahill, who is also a part of the 23-man squad, leading the charts with 50 strikes. Australia have only won two of their 14 matches in World Cup history, with their last win coming against Serbia in 2010. The Tottenham star is the beating heart of this Denmark side and goes into each game as their chief architect in the attacking third. The playmaker scored eight times during the qualifiers, leading the charge for Age Hareide’s side on their way to Russia and his form in the pre-tournament friendlies was also ominous. 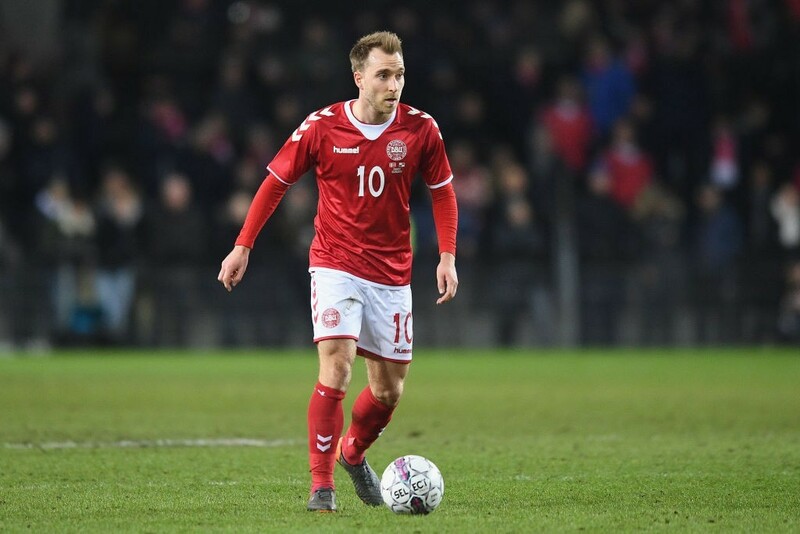 Eriksen was one of the better players for the Danes in an unconvincing performance against Peru, as he set Poulsen up for the winner with a sublime pass. The 26-year old has the ability and the guile to split open defences, can score a goal or two by himself and add to that, his immaculate set-piece delivery, all of which make him a huge thorn in Australia’s side going into Thursday’s game. The encounter at Samara will be a crucial one for both teams. A win would seal Denmark’s passage to the next stage, while a defeat would leave them in a precarious position going into their final group game against France. Australia, on the other hand, need the win in order to keep their chances of progression alive. Despite the Danes’ impressive defensive record heading into Thursday’s game, they were troubled aplenty by Peru and it is very much likely that the Socceroos will do the same. However, they might leave themselves open by going in search for a win, which could end up playing in Denmark’s hands. The third match of Group C promises to be a tightly-contested, enticing affair, with plenty at stake. And we, at The Hard Tackle, predict both teams walking away with a point on Thursday.